Miss HELANG: Start UR EnGiNe..
i never imagine my life after 'strugling until death' for Business Ethics assignments.. Assignment Fiqh 3 also already finished. 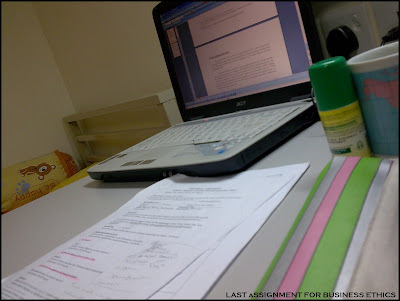 But, still not 'gerak2' hehe..
1st thing i saw is laptop, then the green repellent..haha. Perlu ke repellent disitu?